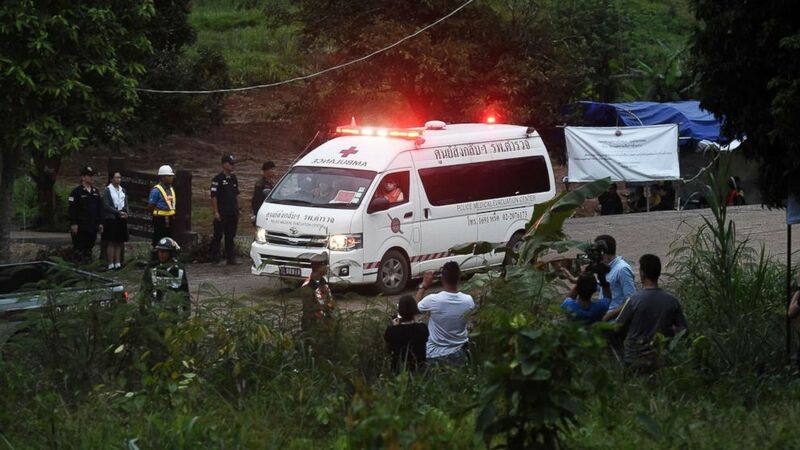 It took hundreds of volunteers from all over the world to rescue the soccer team of 12 boys and their coach from a cave in Thailand. Now that they’re out of the dangerous environment, their recovery process begins. Of course, treating their physical health first is important. But, doctors will also be concerned about the psychological effects of their ordeal and how it could affect their overall mental health. Thai military medical personnel take part in preparations during the ongoing rescue operation for the boys soccer team and their assistant coach to exit the cave at Tham Luang cave in Khun Nam Nang Non Forest Park, July 8, 2018 in Thailand. “They are likely to have symptoms — this is a terrifying, frightening event,” Dr. Steven Berkowitz, co-chair of the terrorism and disaster issues committee for the American Academy of Child and Adolescent Psychiatry told ABC News. What happens after a trauma? When something horrible happens, most people will have distress that fades overtime, though a percentage of people will continue to suffer for years as a result of their trauma. According to the U.S. Department of Veterans’ Affairs National Center for PTSD, which studies trauma extensively in the military, there are four phases to a trauma: Impact, rescue, recovery and long-term reconstruction. People react differently at each stage and mental health interventions can be made throughout the process. Post-Traumatic Stress Disorder, or PTSD, is a mental health problem that may occur after experiencing a life-threatening event like combat or a natural disaster, according to the VA.
Major symptoms include relieving the event with nightmares, bad memories or “flashbacks,” avoiding anything having to do with the situation and having negative feelings about the self and the world. People may also feel jittery, angry, startle easily or constantly be on the lookout for danger. If these symptoms last longer than one month, it may be PTSD. When these symptoms are seen for less than a month after a trauma, mental health professionals will call it Acute Stress Disorder. According to the American Psychological Association, after exposure to a life-threatening event, some degree of distress is almost universal among children and adolescents. While we have no way of predicting how a specific child will react, common behavior changes during the acute recovery phase include the development of new fears, separation anxiety, sleep problems, feelings of sadness, poor concentration, poor school work, loss of interest in normal activities, anger and physical symptoms, such as indigestion or fatigue. Adolescents will often start experimenting with drugs or alcohol to deal with negative feelings about a traumatic experience. Will these children develop PTSD? It’s impossible to predict. One person’s initial reactions to a disaster do not necessarily predict long-term outcomes. Because the children spent a length of time in the cave, they may have developed symptoms. Risk factors for psychological distress include being close to the disaster — which can include people involved with the rescue and family members — and the person’s previous mental health status. Community support, ongoing life stress, family, and prior traumatic experiences can also affect how someone responds to new trauma. In a similar situation in 2010, nine of the 33 miners that spent 69 days trapped in a Chilean mine were receiving sick-leave for post-traumatic stress one year after their rescue, according to a New York Times study. Resilience is the ability to adapt in the face of trauma, threats or stress, according to the APA. It can be described as one’s ability to “bounce back” from a tough experience. Most children and adolescents show resilience after a traumatic experience. This is especially true when the trauma is a single event. While some people have higher levels of resilience than others, it is a trait that can be learned and developed. “For resilience in general, the young people that are going to make it, despite difficult circumstances, are the young people who have someone who stands beside them unwaveringly and unconditionally and hold them to high standards,” Dr. Kenneth R. Ginsburg, an adolescent medicine specialist and co-director of the Center for Parent and Teen Communication at Children’s Hospital of Philadelphia, told ABC News. Ginsburg is also the author of “Building Resilience in Children and Teens,” published by the American Academy of Pediatrics. The APA states that resilience can be developed by teaching children self-care, allowing them to return to a normal routine, helping them identify goals and find meaning in life and empowering them to help others. How can children be helped after a traumatic event? According to the APA, most children and adolescents will return to their previous selves after a few weeks or months, following a single traumatic event. It is very important that that survivors have community support, especially from peers, parents, teachers, clergy, and coaches. Educating friends and family about what to expect from a child survivor can also help relieve unnecessary anxiety. 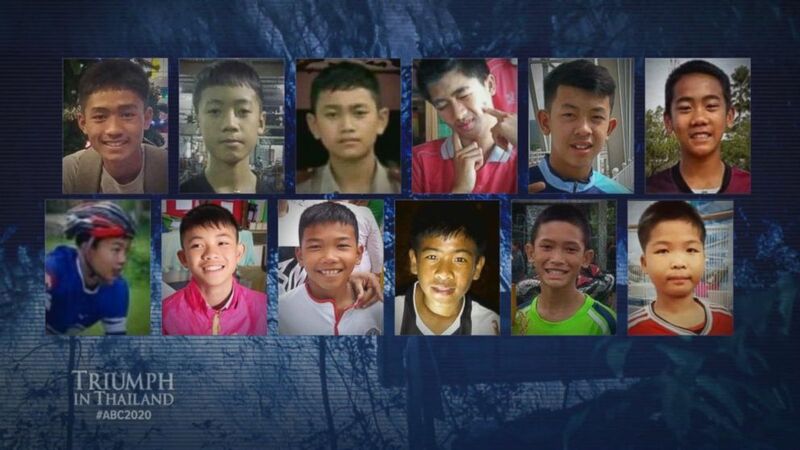 The 12 boys who were trapped in the cave appear to have a high level of support and, Ginsburg added, cultural healing mechanisms in Thailand may be different than those found in the United States. The words used with child trauma survivors can be extremely important. If the children have symptoms of PTSD after recovering from the initial shock of the event, typical treatment options include meeting with a therapist for trauma-focused psychotherapy — a form of exposure therapy. Here, victims focus on the memory of the event and its meaning in a safe and secure environment until they no longer find it distressing or upsetting. Berkowitz remains optimistic if the children do have long term mental health problems. “The good news is we have great interventions and great medications,” he said. Michael MacIntyre, M.D. is a psychiatry resident working with the ABC News medical unit.